On Day 3 of the hearing before the Supreme Court five-judge bench on the question of reconsideration of the M. Nagaraj verdict, Senior Counsel Indira Jaising advanced that the tools employed in the 2006 judgment in interpreting the constitutional amendments introducing clauses (4A) and (4B) in Article 16 are incorrect. In as much as the decision regards parameters of ‘backwardness’ and ‘inadequacy of Representation’ as “controlling factors” or “compelling reasons” to be considered by the states in providing reservation in promotions, Ms. Jaising contended that the validity of a constitutional amendment cannot examined in a like manner as of a statute, that the “compelling reason” to make reservation in promotions is found in the Constitution itself in clauses (4A) and (4B) of Article 16 and there could be no other reason. “The amendments are confined to the SC/ST and do not contemplate any quota in promotions in favour of the OBC. Accordingly, ‘backwardness’ is no criteria. The ‘creamy layer’ principle has no relevance. There can be no qualitative exclusion so far as the SC/ST are concerned, nor is there any sub-classification as in the case of the OBC”, she continued. It was her case that ‘Backwardness’ and ‘inadequacy of Representation’ cannot determine the applicability of a constitutional amendment which speaks for itself and that the test can only be the basic structure doctrine. In so far as the M. Nagaraj ruling concludes that the State is not bound to make reservation for SC/ST in matters of promotions, Ms. Jaising argued that in her opinion, the state is so bound. “Clause (4A) is nothing but an enabling provision. Suppose there was a mandate that reservation in promotions has to be provided, then what would have happened? The language used in Article 16(4A) empowers the states to make reservation subject to certain riders and the Constitution Bench in M. Nagaraj has only interpreted these riders...’backwardness’ is covered under Article 341, while ‘creamy layer’ is a facet of the OBCs introduced in Indira Sawhney (nine-judge bench decision; 1992)”, reflected Chief Justice Dipak Misra. In as much as the 2006 judgment says that the aforesaid amendments flow from Article 16(4) in retaining the “compelling reasons” of ‘backwardness’ and ‘inadequacy of representation’, Ms. Jaising added that the insertion of clauses (4A) and (4B) also flows from Articles 14 and 16(1). Justice Rohinton Nariman remarked that all M. Nagaraj observes is that Article 16(4) was a part of the original constitution and hence, a part of its basic structure. The Senior Advocate also submitted that the concept of “extent of reservation”, as used in M. Nagaraj is only a numerical one, having no connection with ‘backwardness’. Ms. Jaising advanced that the object of reservation is to provide representation in state services; it is a system devised by the constitution to ensure the SC/ST have representation. Indira Sawhney states that all sections of the Indian society must have a share in power and therefore, the criterion of ‘backwardness’ has to go, she suggested. In respect of ‘inadequacy of representation’, she submitted that the same be determined as the percentage of population of the SC/ST to the population of the state or the country, as prescribed in Article 81 and 330. “Can the state not say that though the population of the SC is 8% in my territory, but in respect of Class I posts, I shall reserve only 2 %?”, inquired Justice Nariman. “The state must make reservation not in the whole service but in a class of service or cadre...at every level, there has to be representation of the diversity of the population of this country”, she continued. Clarifying that only the criteria of ‘backwardness’ and ‘inadequacy of representation’ are being disputed and not ‘Administrative efficiency’ as discussed in Article 335, she submitted that no candidate is permitted to cross the bar of promotions unless that have good ratings in their ACR and that there could be no better way of measuring efficiency. “The basis of exclusion of the SC is untouchability and not economic status. For the ST, it is shyness in contact with outside world, primitiveness of life etc (as per the December, 1951 report of the National Commission for ST). ‘backwardness’, being a result of these criterion, cannot be the starting point”, she concluded. Senior Advocate Sanjay Hegde reiterated that a constitutional amendment may be valid or invalid, but its validity is not subject to the manner of its exercise. In his turn, Senior Advocate Dinesh Dwivedi, elaborating on why M. Nagaraj needs reconsideration, submitted that the notification under Articles 341 and 342 is issued after careful assessment as to whether even a Sub-part of a caste can be deemed to be a SC or not. “The material to show ‘backwardness’ is already there...we cannot go back to stage 1”, he argued. “Article 16(4) uses the more compendious phrase of ‘backward classes’, while clause (4A) is confined to SC and ST. This means that ‘backwardness’ is implicit in so far as the SC/ST are concerned”, he continued. He also contended that Indira Sawhney, in as much as it held that the ‘creamy layer’ concept may not apply to the SC/ST, has been ignored in M. Nagaraj. “Suppose 40 years after a Scheduled Caste is notified, a section of it is found to be the ‘creamy layer’, then why can the court not say that unequals are being treated equally? All this is not covered in Indira sawhney”, noted Justice Nariman. “Article 341 confers a status...as a corollary, you are deemed to be backward Article 16(4A) is a special provision and it provides for reservation in promotion with accelerated seniority...it implies ‘backwardness’ not in the sense of article 16(4) or the SC status but in terms of service status, where they were and where they have gone...”, weighed in Chief Justice Misra. “Suppose ‘X’, by virtue of reservation, has become the secretary of a state, will it be logical to treat him or his family as backward?”, asked the Chief Justice. “Article 16(4A) does not take away Article 16(1) in entirety...your status of SC is not taken away but room is made to determine whether you are entitled to the benefit of reservation in promotions”, he continued. “Conferring benefit where it is needed the most”, chipped in Justice Nariman. Mr. Dwivedi also submitted that whether a particular class is adequately represented in the services of a state can be determined only on basis of population and no other way. 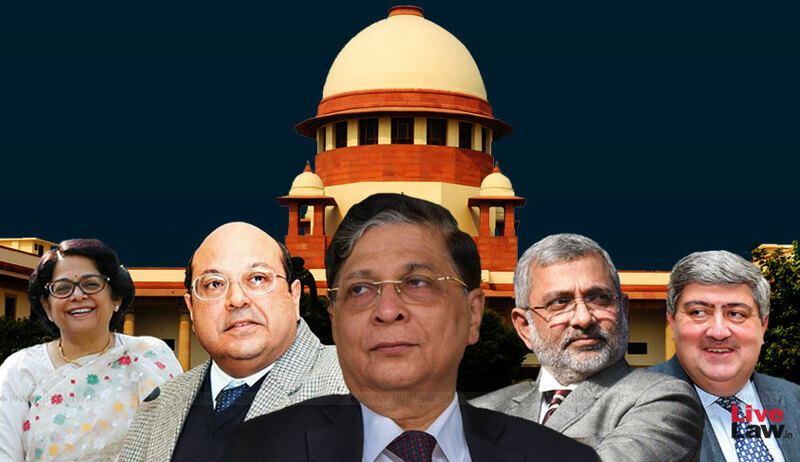 That the SC/ST are deemed to be backward and that the further exercise stipulated in M. Nagaraj is not capable of being implemented pragmatically was submitted by ASG Tushar Mehta. In the light of Indira Sawhney, Senior Counsel P. S. Patwalia argued that it is not possible to lay down a uniform standard for the whole country and that the character of judicial scrutiny of the inadequacy of Representation shall vary from state to state. To drive in this point, he showed that in the state of Tripura, the ST constitute 32% while the SC are less. “The engineering service would have a different ACR and selection process from the Administrative service, where the categories of posts and qualification would be different...You are saying that all these posts be conglomerated in determining the number? To have the different services compete would defeat the objective of Article 335”, remarked the Chief Justice. Another Senior Advocate contended that the need to gather quantifiable data as to inadequacy of Representation by the state “to satisfy the court that such reservation becomes necessary”, as required by M. Nagaraj, was perverse and made it impossible to conclude if reservation should be provided. “It is subject to judicial review...it has to be seen if the accelerated seniority being given in a cadre is needed”, explained Chief Justice Misra. “Merely because they are holding enough posts in class IV is no reason to deny them reservation in promotion to class III”, insisted the Senior Counsel. On Thursday, in the light of Justice S. B. Sinha’s judgment in E. V. Chinnaiah, it was also argued that merely because some members of a community are advanced, it cannot be the reason for exclusion. Further, while Indira Sawhney speaks of the ‘creamy layer’ to identify backwardness, for the SC/ST, the exercise of identification is carried out by way of the Presidential notification. In response, Justice Kurian Joseph noted that one who is no longer deemed backward will continue to be a SC for the purpose of the presidential order and only not get the benefit of Article 16(4A). In the session post lunch, veteran lawyer and Senior Advocate Shanti Bhushan, appearing on behalf of Respondent-organisation All India Equality Forum, asserted that on a proper reading of M. Nagaraj, no problem surfaces and that there is no case for reconsideration. “Can, in the promotion of a chief engineer to the post of engineer-in-chief, the chief engineer be regarded as being socially or educationally backward? Promotion from ‘sweeper’ to ‘head sweeper’ may call for reservation, but in the IAS, where one joins as the collector, or in the PCS, can he still be said to be backward? Can a District Judge be treated as backward in promotion to the High Court?”, he asked rhetorically. “Affirmative action under Article 16(4A) is intended for a backward class of citizens. (In M. Nagaraj), Justice S. H. Kapadia has only stipulated the conditions to be fulfilled in determining which class qualifies as a backward class...in matters of promotion, it is not the backwardness of the entire community but that of the class from which promotion is being made...you have to consider if a particular cadre can be still deemed as a backward community...where direct recruitment is made to Class I, You cease to be a backward class and in fact, even a SC. If you are still extended the benefit of reservation, it would be a gross breach of the basic structure doctrine...reservation may only be provided at the stage of the starting recruitment for such high posts as that of a collector, otherwise, it will lead to a disaster...”, he suggested. “Clause (4A) does not grant the power to make reservation in promotions but only says that nothing in this Article, that is clauses (1) to (4) of Article 16, shall prevent the states from providing for such reservation...the power to provide quotas in matters of promotion also has to be exercised for the benefit of backward classes to which clause (4) applies...a cadre is a class and the cadre from which the promotion is to be made must be a backward class...”, Mr. Bhushan concluded. Next, Senior Counsel Rajeev Dhavan also affirmed that there is “no fatal flaw” in the M. Nagaraj decision. “The judgment is two-pronged- one, it prescribes the compelling reasons for which reservation may be provided in promotions. These factors are backwardness, inadequacy of Representation and overall Administrative efficiency...two, it attempts to circumvent any excessiveness by way of the ceiling limit, obliteration of the ‘creamy layer’ and by stipulating that reservation cannot extend indefinitely”, he explained. “In Indira Sawhney, 8 judges have said that the ‘creamy layer’ is an aspect of equality...the test in M. Nagaraj checks the danger of excessiveness in the width of this equality...the essence of reservation law is in balancing the claims of equality in Articles 16(1) and 16(4)...’creamy layer’ does not deal with group rights but the rights of an individual, an individual who has travelled beyond and is no longer entitled to that equality...sharing the power of the State cannot mean monopolising the power...”, submitted Dr. Dhavan. Advancing how reservation is being treated as a gift in perpetuity, he referred to Justice V. R. Krishnaiyer’s remark in Akhil Bharatiya Soshit Karmachari Sangh v. UOI (1980) that to lend immortality to the reservation policy to appeal to the vote bank in the SC/ST is to run a grave constitutional risk. On Thursday, Dr. Dhavan expressed his confusion over the stance of the Union of India in as much as the counsel for the UOI has not favoured a reconsideration even as Attorney General K. K. Venugopal presses for it.